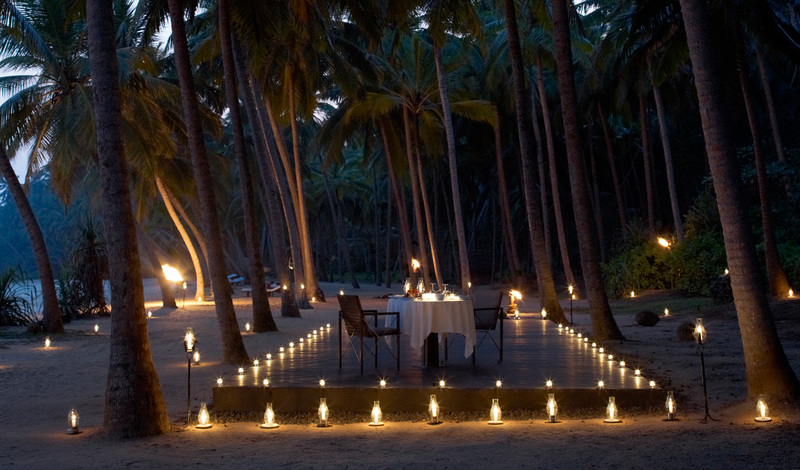 Amanwella is a luxury hotel that embodies style and serenity. Nature is the order of the day here and this retreat blends perfectly into its stunning surroundings. A small gravel road leads through a mature Coconut Palm grove to a pebbled courtyard, which instantly alludes to the understated contemporary design of this retreat. Light airy interiors, high ceilings and natural wooden shutters seem to merge effortlessly with the incredible scenery to be found outside, adding to an overpowering sense of relaxation. 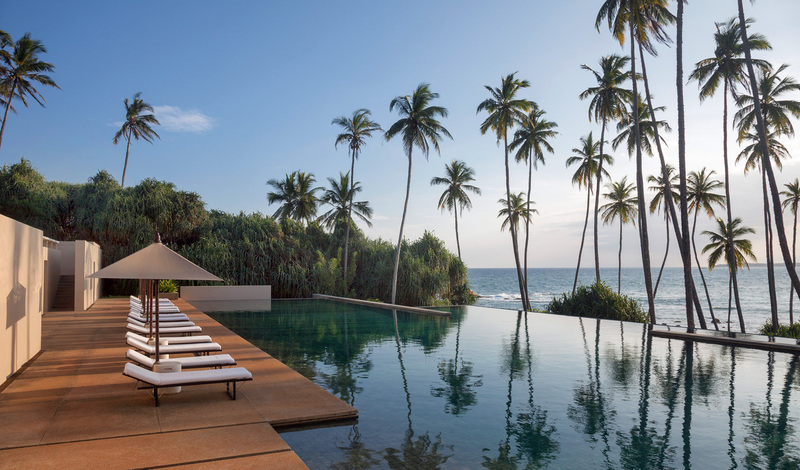 Amanwella is located near the local town of Tangalle on the southern tip of Sri Lanka. The retreat is hidden amongst coconut groves on the gentle slopes of a hill and overlooks one of the most beautiful and peaceful bays on the island. The suites are nestled on the sides of the hill facing the bay and have uninterrupted views across the palm-studded beach. Each open-plan suite boasts sleek contemporary design, with clean straight lines, neutral colors, wooden shutters and floor to ceiling glass windows. Step out onto your private terrace houses to find a private plunge pool and dining area. The location is amazing and we love the understated luxury of this retreat, from the idyllic main pool to the beachfront yoga platform. It complements its surroundings beautifully and allows you to really feel like you are a part of the environment with palm trees hanging over the clear blue waters which lap up against the sand. The area is not only renowned for its natural beauty, but its wildlife wonders as giant turtles lay their eggs on nearby beaches and herds of wild elephants roam in nearby Uda Walawe National Park. You’ll feel a million miles from home.